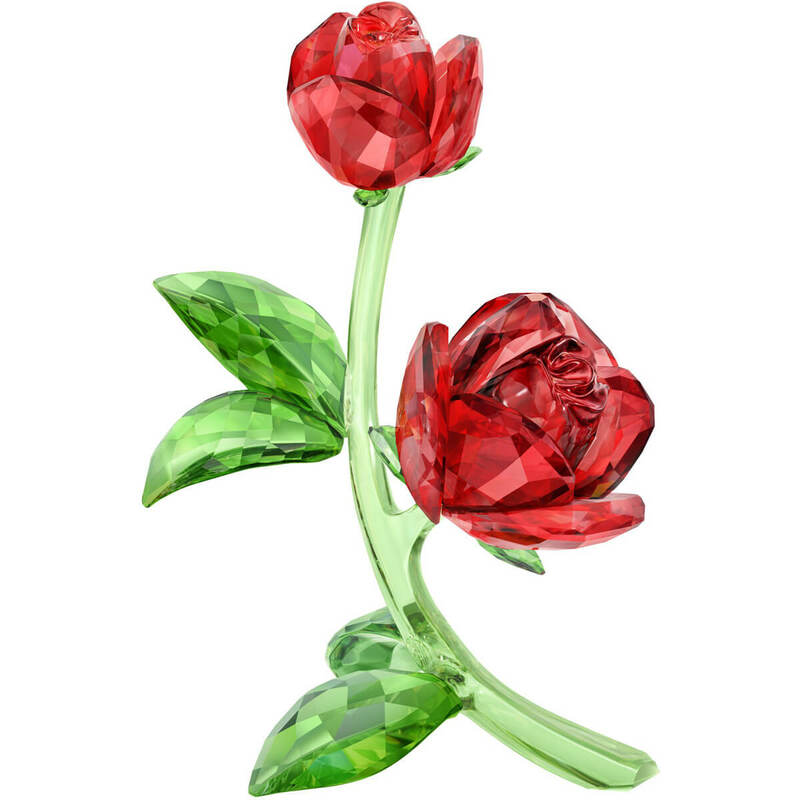 Fall in love with this romantic rose design, immaculately crafted in vibrant red and green crystal. The beautiful arrangement of two blossoms and foliage has been depicted very naturalistically in pure crystal, showcasing Swarovski’s expertise and style. This is a decoration object and not a toy. It is not suitable for children under 15.